The most realistic and high-quality Justin inspired temporary tattoos printed in the USA using only the highest quality inks. Completely non-toxic and safe. 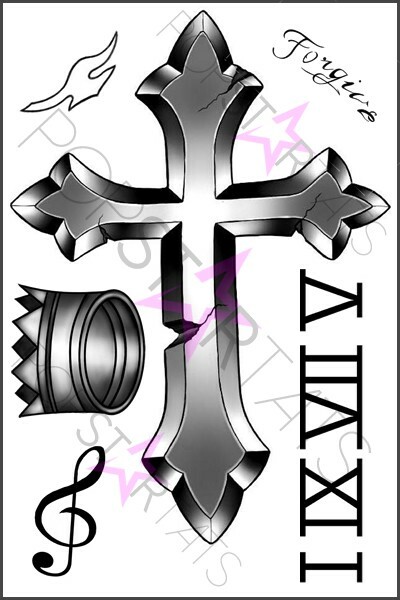 A 4″x6″ sheet with Justin Bieber’s cross, crown, Forgive, small bird, treble clef and Roman numeral tats. Easy to apply and remove. Last up to 7 days!